I have an oleander with a lot of scale on it. 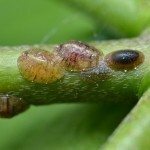 Will neem oil help get rid of them? Yes, neem oil can be effective in treating these pests.